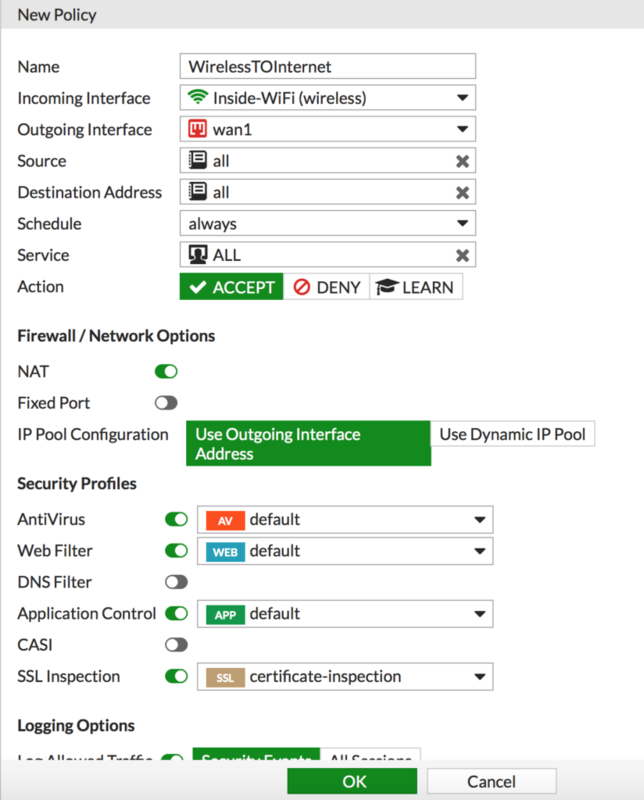 This example will use a FortiGate firewall to manage FortiAP access points. 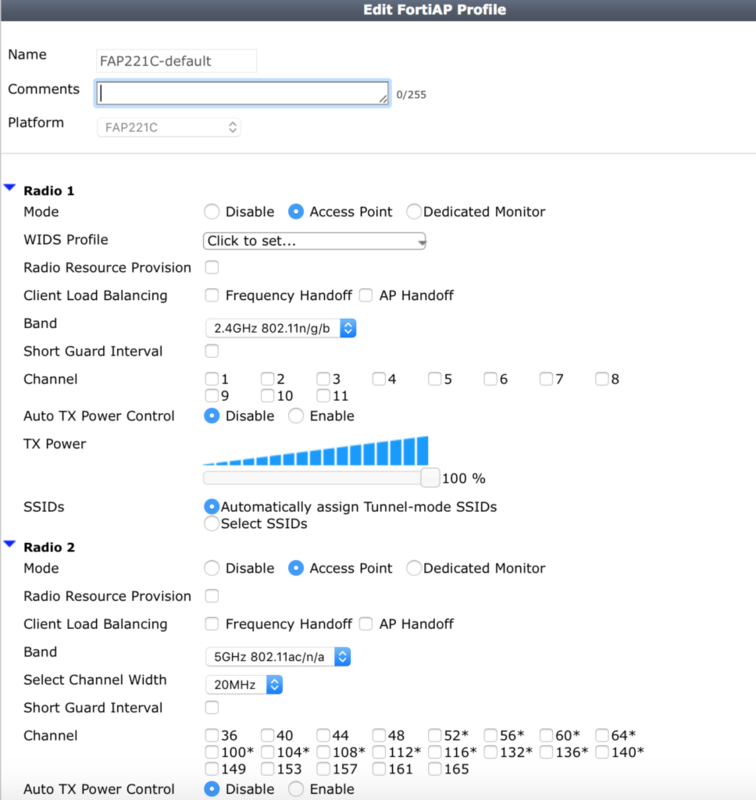 We’ll create what’s called a tunnel-mode wireless network, which means the wireless clients will be on a different network then the wired clients. 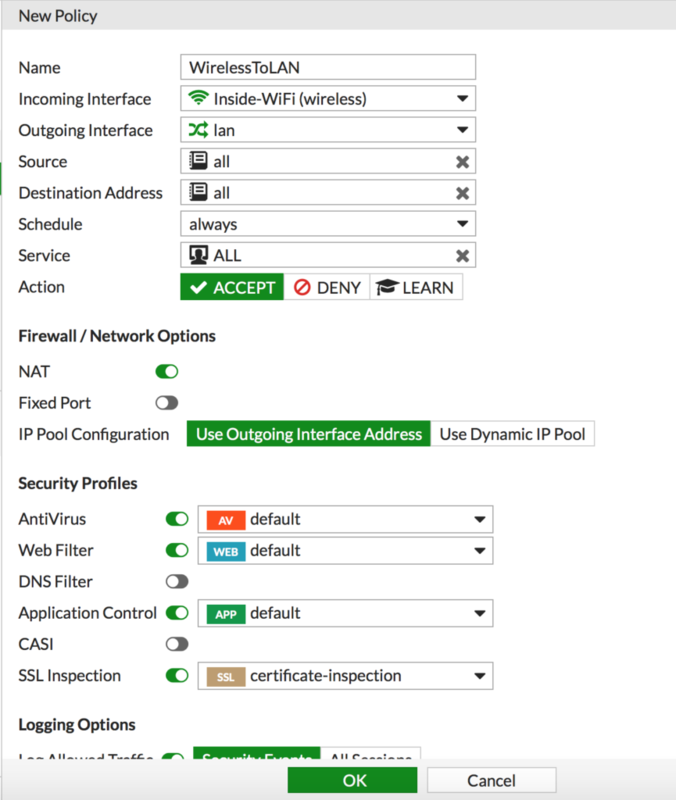 The FortiGate firewall will also provide DHCP services to both wired and wireless clients. 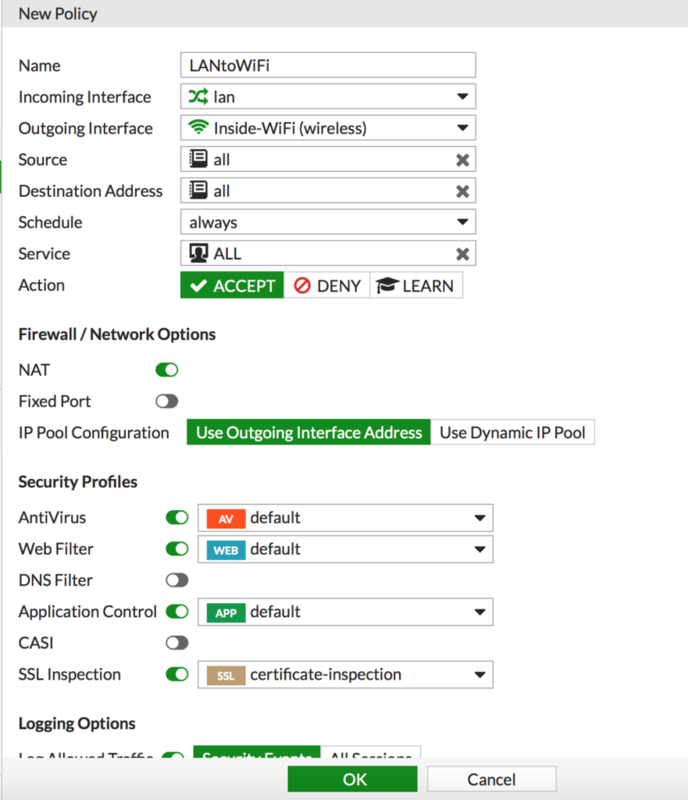 Pick an interface that will have the AP connected to it, this can be on the local FortiGate or a local FortiGate port that’s connected to a switch. For this example we’ll use port 3. 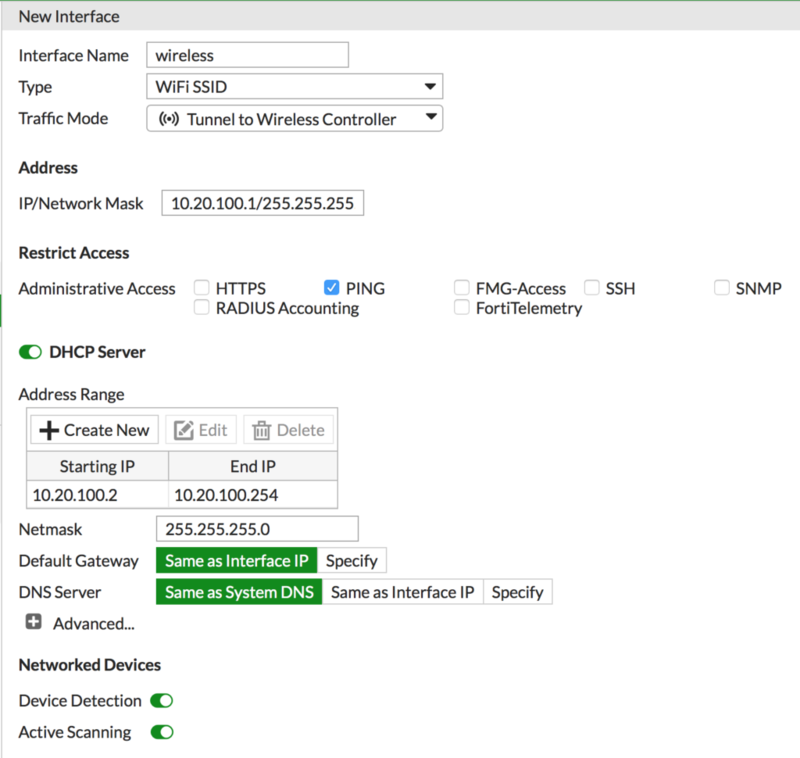 Enable the DHCP Server and create a scope, this is for managing your access points. 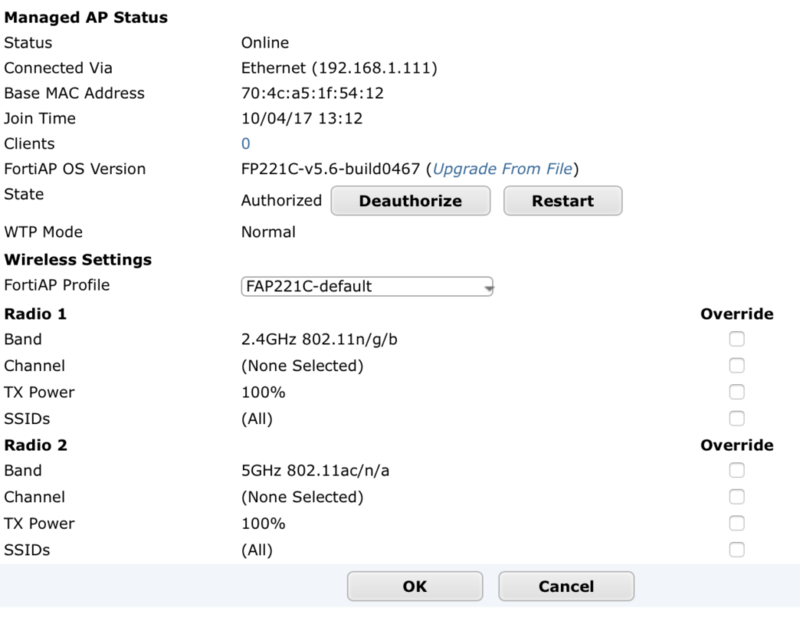 Connect a FortiAP to the interface and get it powered up (via PoE or an injector). It might take a few minutes for it to power up and find the FortiGate. 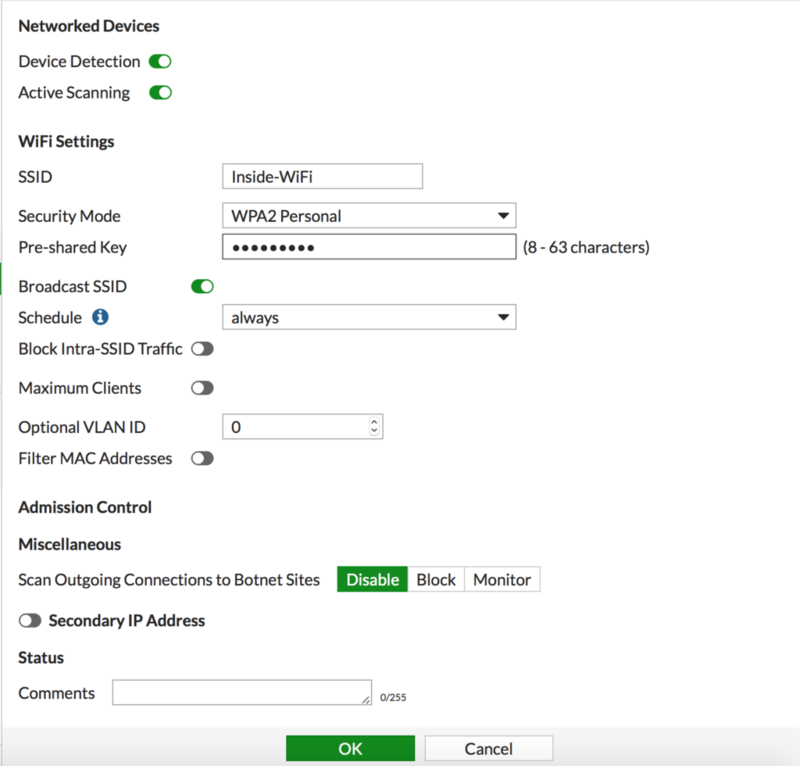 You’ll need another policy to allow your new wireless network access to your LAN network (or any other networks if required). You’ll need another policy to allow your LAN network access to your new wireless network (or any other networks if required). It’s the inverse of the policy above. That should be it! Repeat for other tunnel mode wireless networks you want to add.